June is National Safety Month, an important time to take stock of what potential safety hazards you may find in your home. Take a look at our checklist of household items you’ll want to ensure are working and installed properly to protect you and your family. And for an extra measure of safety, schedule a home inspection with one of our expert inspectors. They will walk you through every area of your home, taking note of any safety issues you may not notice on your own, giving you peace of mind. 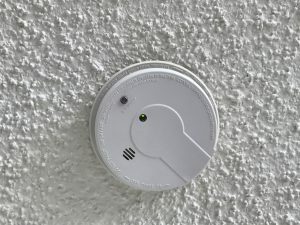 ☐ Smoke Detectors: Ensure batteries are up to date, or if the device is hardwired that it is properly installed. ☐ Carbon Monoxide Detectors: This is especially important if your home runs on gas power or if you have a gas oven or stove. Test the detector’s batteries or install new ones. ☐ GCFI Outlets: Test out your GCFI outlets (the ones with the red and black “Test” and “Reset” buttons). Plug any device, maybe a hairdryer or lamp, into the socket, turn on the device and press the “Test” button. If your device stays on, your outlet is faulty and could be dangerous. It’s time to call in an electrician. ☐ Fire Extinguishers: You never need a fire extinguisher until you need one. 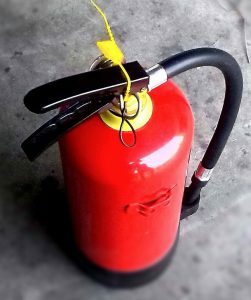 Make sure 1) your fire extinguishers are present throughout your home, 2) full, and 3) you know how to use it in an emergency. ☐ Small Space Heaters: Again, not something in use right now, but summer is a great time to make sure your space heaters are working correctly so they’re ready for use when needed. ☐ Power Strips/Surge Protectors: You probably have several of these plugged in around your home. Even though your surge protectors have spots for several items, that doesn’t mean you should fill them all up as they can get overloaded. You also want to make sure they aren’t covered by any rugs, blankets or other items as they can overheat. ☐ Fireplaces: While you may not be using it for a while, now is an excellent opportunity to check and clean your fireplace and chimney so its ready come winter. A chimney sweep can clean and inspect your chimney flue liner. If you have a gas fireplace, the pilot light may be turned off when it’s not being used during summer. Read our past post on fireplace and chimney safety for more information. 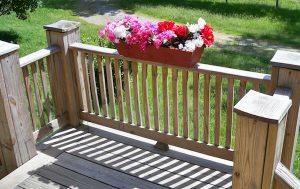 ☐ Railings: Check your balcony, stair, and deck railings to ensure all the pieces are secure. Railings should be secure with ballasts not more than four inches apart— you don’t want any little ones falling through! Your home should be your safe haven. Our expert inspectors will do their best to make sure all the systems and features of your home are installed and functioning properly. If you have any other questions regarding your home’s safety or home inspections or would like to schedule an appointment with us, give us a call at 1-800-345-2776. 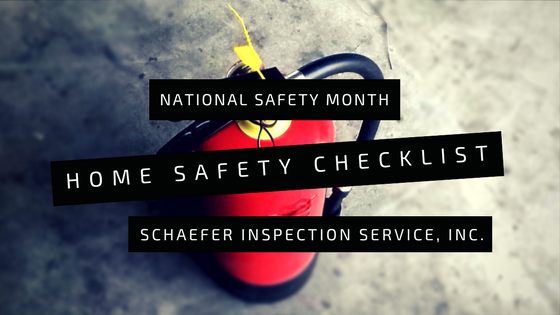 You can also reach out to us on our Facebook page here or tweet us @SchaeferInspect.